Tennessee River Museum is a 13-minute walk from this hotel. Located near Highways 64 and 69, Savannah Lodge is 1 mile from Riverside City Park. 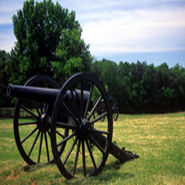 Shiloh National Battlefield is a 15-minute drive away. Savannah Lodge is 1 mile from Riverside City Park. Inviting Outdoor Pool, free wireless high speed internet and free public parking is possible on site. Located near Highways 64 and 69, Savannah Lodge is 1 mile from Riverside City Park. Welcome to Savannagh Lodge, the right Savannah, Tennessee Hotel for business or pleasure travelers who care about saving money and still having a great experience. We have the features you want at a price far below what you might expect from a respected, well-liked Hotel in Savannah TN. Amenities sure to enhance any stay here at our quaint, family-operated hotel include our outdoor pool, free wifi and free cable television with HBO in every room. Each room also includes a refrigerator and microwave as well as a seating area and more. Local calls are always free, and a coffee maker and hair dryer are available upon request. Plus, our desk is staffed 24 hours a day. The Tennessee River Museum is close at hand when you stay at our selection of Savannah Highway 64 hotels situated near Highway 69 as well. We’re just a mile from Riverside City Park and about 15 minutes by car from the Shiloh National Battlefield. If excellence matters to you but you insist on a low price, we’re available now and when you need us with everything you want and more at Savannah Lodge – and we want to be your home away from home in our part of Tennessee. May we serve you? We love to serve our valued business travelers at this option in Tennessee Savannah Hotels, the most affordable business hotel you’ll find in this area and a place that travelers of all kinds opt for over and over again. Our top hotel in the Savannah, Tennessee area is designed with the unique needs of business travelers in mind. When you choose to stay with us while on business, you're benefiting from an in-room microwave, fridge, work area and so much more. Turn to Savannah Lodge with confidence when you want a business hotel that will more than meet your expectations. We're here for you when you need us for business travel. Everyone in our hotel family looks forward to the opportunity to serve your family here at the well-liked and well-maintained Savannah Lodge. Whether you’re looking for a Hotel in Savannah TN in general as you’re passing through the area or are specifically seeking, for example, a Savannah hotel near Tennessee River Museum, we’re here for you. When family travel takes you to our state, it makes sense to stay in comfort and style where there are plenty of amenities sure to satisfy everyone in the gang. It makes real sense to stay at the best of the hotels available, our affordable Savannah Lodge. Why not book with us now? On group bookings or individual nights, expect the best hotel deal from us at this independent hotel, a top selection of Shiloh National Military Park Savannah hotels for comfort, convenience and values. We feel a strong obligation to provide exceptional comfort at a fair price. Plus, we take real pride in offering amenities that enhance comfort as well, including so many amenities you simply can't get at other hotels in Savannah TN – even if you're willing to pay a hefty price. Book with us and you'll be glad you did. We make the extra effort to make everyone feel at home, no matter what brings you to the pleasant, affordable Savannah Lodge. Want a smart place to stay in Savannah, Tennessee that you and your family or coworkers are sure to like? Want the most affordable place in town for one night or several? Safety and peace of mind always come first for us and for our guests at Savannah Lodge, the right accommodations selection for every kind of traveler. That's among the reasons our property is one of the best discount hotels you’ll find in Tennessee. While you may find good rates at other motels in the region, can you be sure they share our commitment to safety and peace? You can be certain things will go well when you choose us. Staying at Savannah Lodge is sure to satisfy. Cherry Mansion is an important site for Civil War buffs and those who want to explore regional history at its finest. Tennessee Street Park has lots for the children to do – and plenty for the whole family, so step on down and take a look. Tennessee River Museum is a showpiece of the town and awaits visitors young and old with a great experience. Stay local, eat local and shop local at businesses where you will be appreciated – so you can get the most from your Savannah, Tennessee experience. This website is individually owned by Savannah Lodge Tennessee.